We are the leading supplier of Grey Sandstone Block made available to our clients at competitive prices. 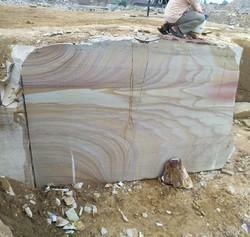 We are quary owner of grey quartzite sandstone blocks from Bijolia, Rajasthan, India. We have sandstone quarry in govindpura, Bijolia, Bhilwara Rajasthan. We have stocks of Gansaw size sandstone blocks ready for export as well as we also have the small size blocks for monuments and other stone crafts. 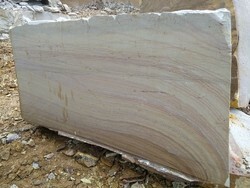 Rainbow sandstone blocks are available with Gangsaw as well as block cutter sizes. We are supplying these rainbow sandstone block for export these sandstone blocks are highly demanded by South indian suppliers. These sandstone blocks are highly recomnded for flooring as well as wall cladding purpose. Sandstone Blocks from our quarry are highly demanded for monuments like Graveyard stone, Statues etc. We are supplying these blocks at wholesale prices. We offering special discout for bulk orders. 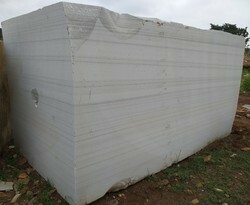 We also provide the customised sizes for slabs from these Sandstone Blocks.